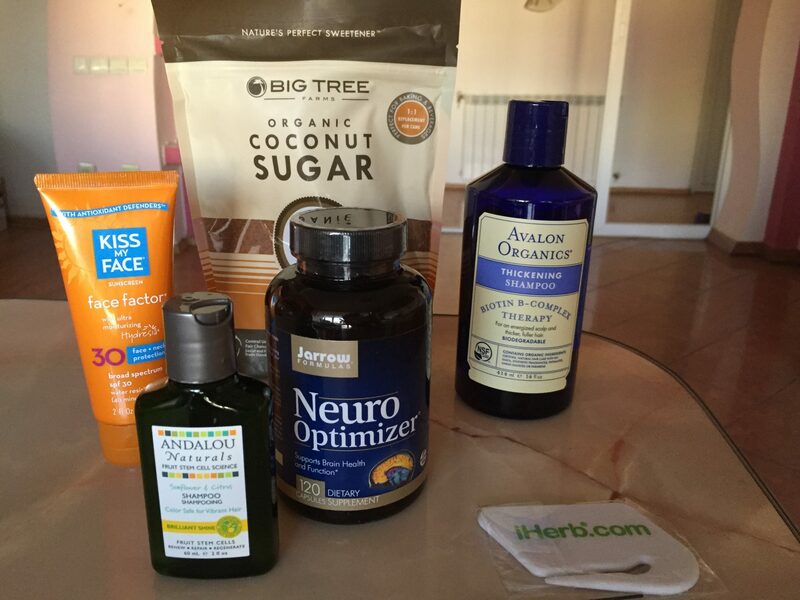 What else I've ordered on iHerb | About various things! 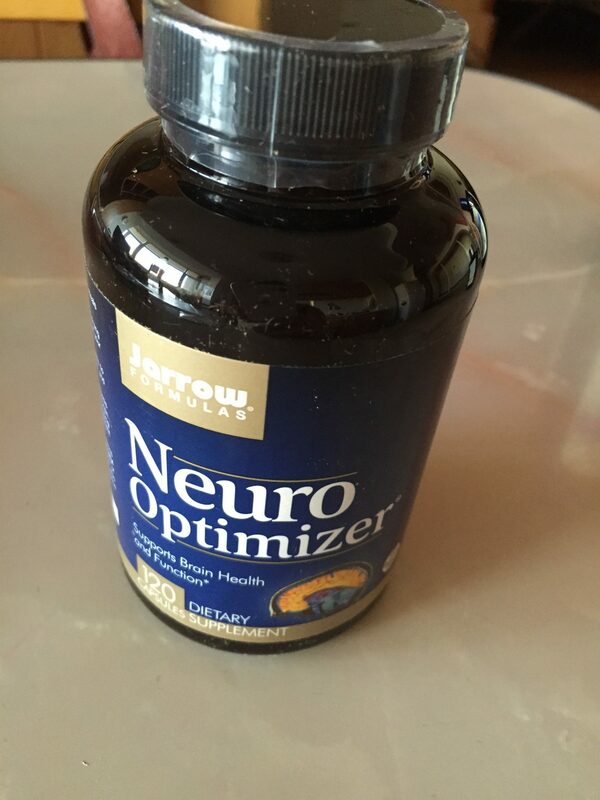 Neuro Optimizer –Jarrow Formulas food supplement – was the reason I made the order at the request of a family member. Meanwhile, I made a little research about it and found it interesting, being considered by many websites as your brain friend. 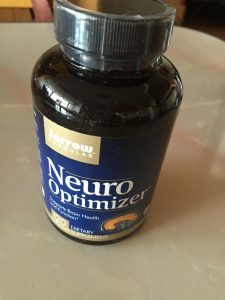 It contains ingredients that provide superior properties for improving emotional mood, memory, concentration and attention. Last but not least, the price is very good (30% reduction), about 130 RON, compared to Romania, around 200-210 RON/pc. You can find it here. Organic coconut sugar – Big Tree – brown sugar that I love and, as a proof, I’ve ordered it 4 times now. It has a low glycemic index (low GI foods contain “lazy” carbohydrates that digest slowly and are absorbed slowly into the bloodstream), it contains 16 vital amino acids and nutrients such as potassium, calcium, magnesium, zinc. 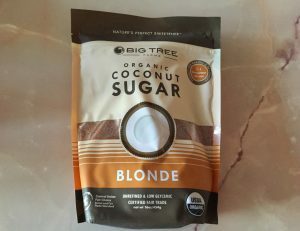 It has a delicious caramel flavor and I use it daily to sweeten coffee. Its price is 24 RON for 454g and it can be found here . 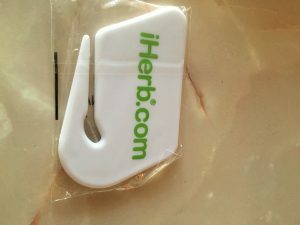 Unfortunately it is out of stock now, but iHerb promises to have it back by 8 March. You guessed, I’ll make myself a present. 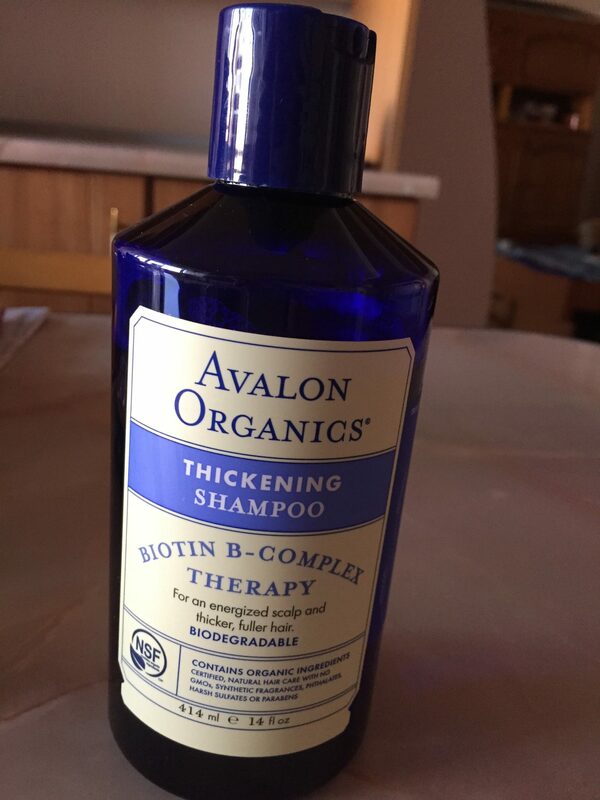 Biotin B Shampoo – Complex Therapy – Avalon Organics – I have it on my wishlist due to the fact that it has many positive reviews and continuing with my desire to use a shampoo with as many natural ingredients as possible. I have a shampoo from Avalon Organics with tea tree and peppermint extract, which I have a pretty good relation, but as very little of it last, I thought it would be wise to test it. I have not used it yet, so I can not express my personal opinion. It costs about 34 RON and it can be found here. Kiss my face – face and neck sunscreen, I have already bought the third tube. 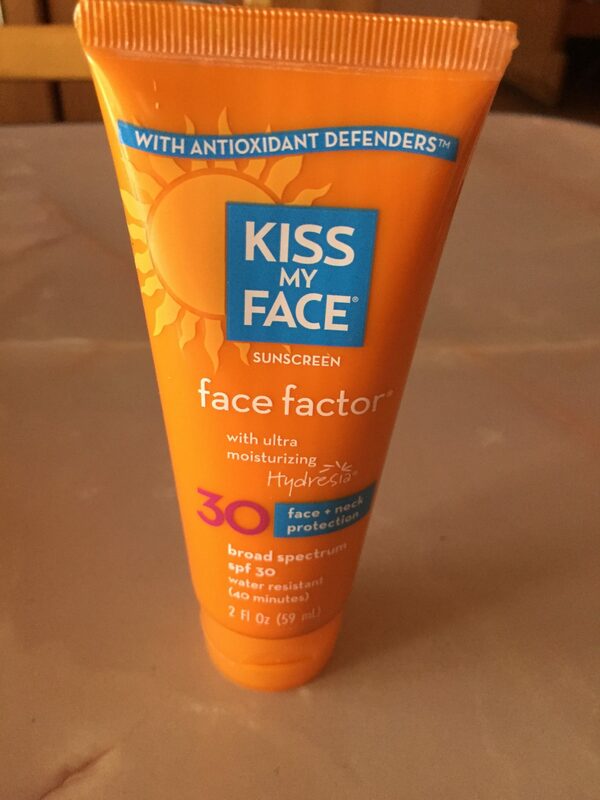 During cold weather I use this product with SPF 30, but for spring-summer months I’ve ordered sunscreen SPF 50. For my very sensitive skin it is excellent, although it has a greasy consistency, it leaves no visible trace on the skin. It absorbs quickly, it is rich in antioxidants, moisturizes well and it’s free of fragrance. I use it as makeup base. For summer days it will be very useful to me because it is water resistant for 40 minutes, then reapply it. You can find it here and its price is about 40 RON. 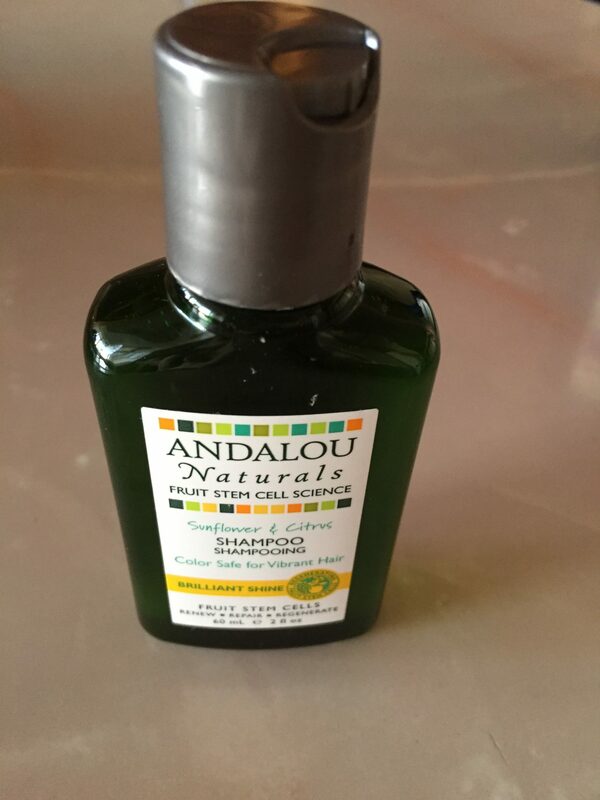 I’ve chosen Sunflower & Citrus Shampoo by Andalou Naturals the trials category, thinking of my husband. “Travel size” version will be perfect for him in our next vacation. It costs about 10 RON and I ordered here. My hubby hasn’t used it yet, I can only say that it smells good. If you are going to place your first order over $40 and use my discount code BBJ483, you will receive $10 discount; if your order value is less than $40, you will receive $5 discount. 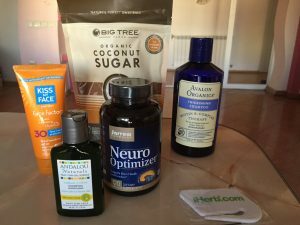 I’m looking forward to my next shipment, and if you ask for details on one of the above products, I’m happy to answer. 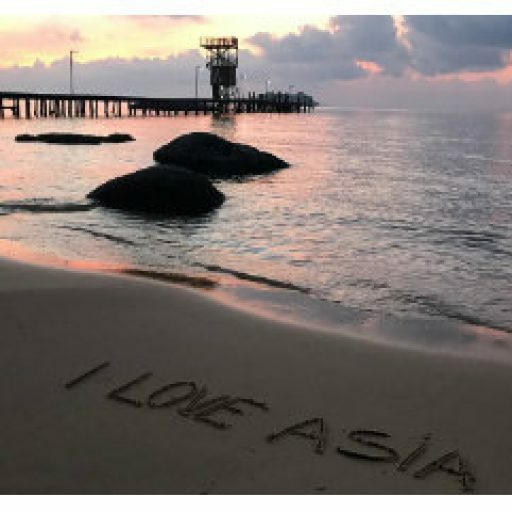 ← Dubai, Tenerife, London or Thailand?? ?